The Norfolk Tides and Charlotte Knights played the last home game at the Church of Baseball, Harbor Park Parish of the 2010 season on Friday night. The Tides started Troy Patton against Charlotte’s Brandon Hynick with Patton looking for his 8th win of a frustrating season including two mid season call-ups to Baltimore without making an appearance. Patton who had gotten off to a rough start at the beginning of the season continually improved and very easily could have had several more wins had there not been critical errors or leaving the game and having a reliever get roughed up to give him a no-decision. However Friday night was a different matter as Patton pitched a solid game and the defense overcame errors that might have cost the game. He was also backed up by solid relief pitching which secured the win. The Tides offense provided the needed support once again led by Michael Aubrey who has been hitting home runs at a torrid pace with 16 dingers since the 2nd of July. The Tides opened up a quick lead when with 2 outs in the bottom of the 1st inning Jeff Salazar singled and Aubrey came to the plate and on a no ball and two strike count took Hynick’s pitch yard over the Straub Beer Party deck in right field. The Knights picked up a run in the top of the second when Patton walked Luis Rodriguez and then had Jeremy Reed double to put runners on second and third with one out. 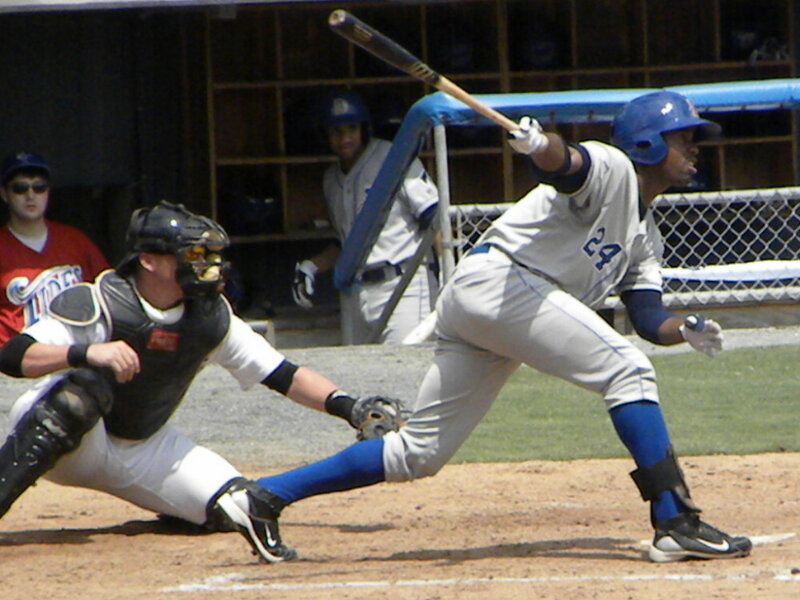 The Knights then scored when Blake Davis muffed a ground ball hit by Fernando Cortez to allow Rodriguez to score. The Tides got that run back in the bottom of the 3rd inning when Blake Davis and Paco Figueroa had back to back singles. 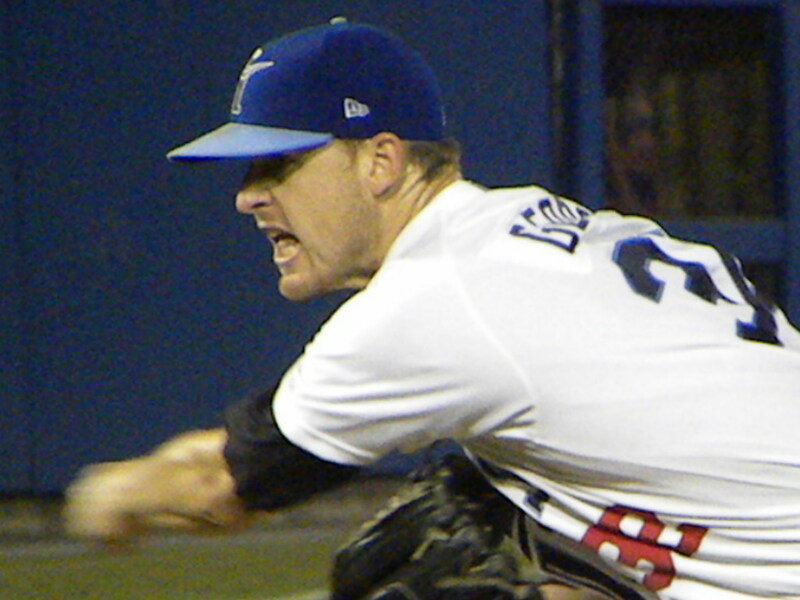 They attempted a double steal in which Figueroa was gunned down by catcher Adam Ricks and Davis went to third. Jeff Salazar then singled to drive in Davis and the score was 3-1. The Knights drew within a run in the top of the 6th inning when Patton walked Luis Rodriguez and then got Jeremy Reed to fly out to right. With one out Fernando Cortez hit a ground ball to just reactivated from the DL Scott Moore who rushed his throw and tossed it past First Baseman Michael Aubrey allowing Rodriguez to reach third and Cortez to make second with just one out. Robert Hudson hit into a fielder’s choice to score Rodriguez before Patton retired Adam Ricks on a ground ball to first. Patton put down the first two batters of the 7th inning Bobby Dickerson pulled Troy for Kam Mickolio who struck out Dayan Viciedo swinging on three pitches to end the inning. Charlotte sent Miguel Socolovich to relieve Hyndick in the 7th and the Tides scored again in that inning when with one out Paco Figueroa and Jeff Salazar singled to place runners at first and third. 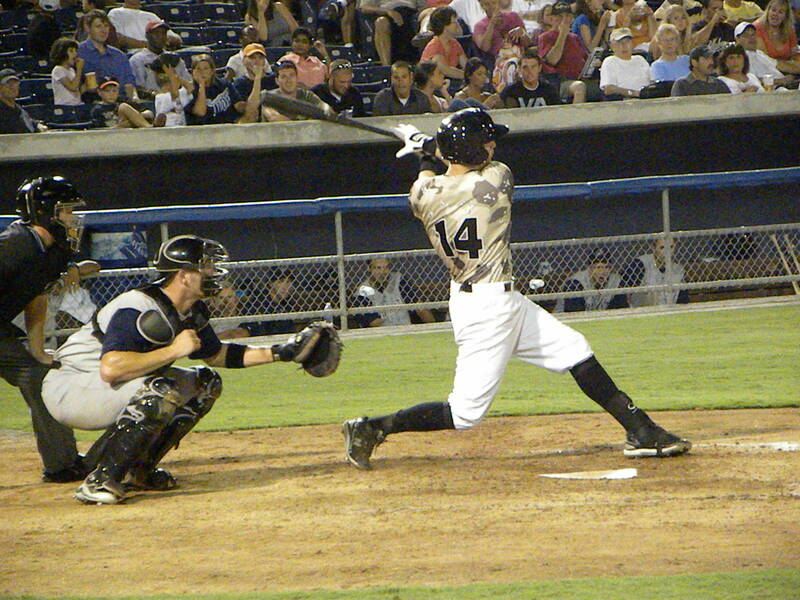 Socolovich then threw a wild pitch which scored Figueroa and sent Salazar to third giving the Tides a 4-2 lead. Socolovich wisely gave Michael Aubrey an intentional pass and then walked Rhyne Hughes to load the bases. Scott Moore hit into a force in which Salazar was out at the plate. 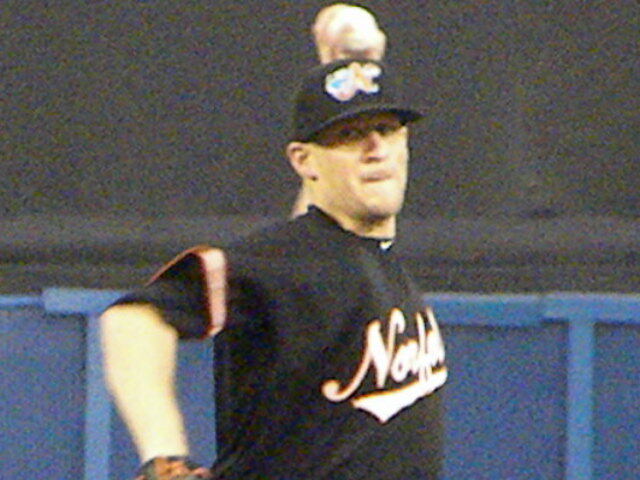 Buck Britton then flied out to end the inning. The Tides went down in order in the top of the 9th facing Jhonny Nunez. The Tides sent in Dennis Sarfate who got Adam Ricks to ground out for the first out and then surrendered a double to Buck Coats. Jordan Danks walked and then with one out got Dayan Viciedo to ground out into a double play to end the inning and the game. The Tides left the field to a standing ovation from the 8500 or so Church of Baseball Harbor Park Parish faithful who were treated to a fireworks display at the end of the game. Troy Patton (8-11 4.43 ERA) got the win in his final start of the year for the Tides and Dennis Sarfate notched his 20th save lowering his ERA to 2.62. Brandon Hynick (1-4 6.22 ERA) took the loss. The Knights had 2 runs on 7 hits with no errors leaving 10 men on base. The Tides had 4 runs on 11 hits but 3 errors leaving 9 base runners stranded. 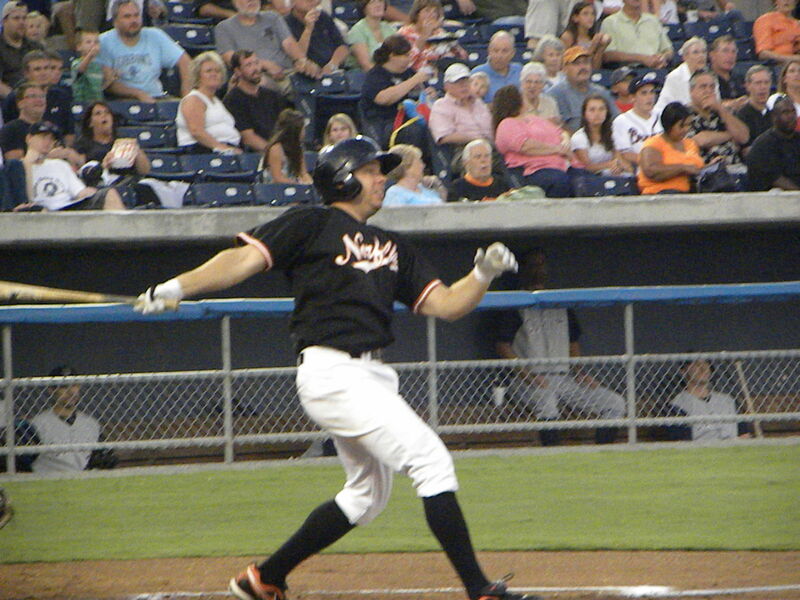 The Tides travel to Durham to end their 2010 season against the Bulls. 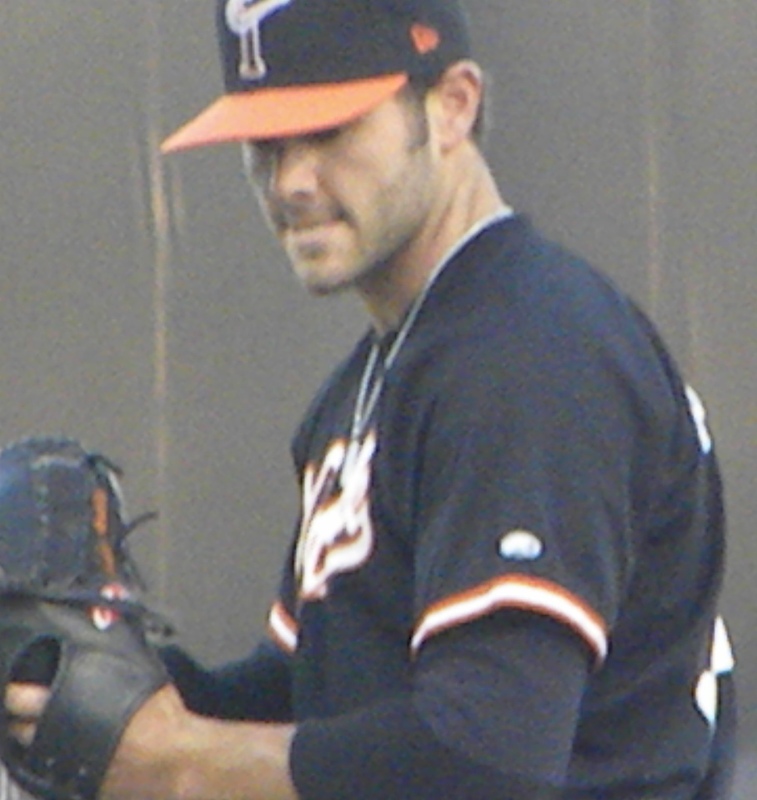 In late breaking news Chris Tillman was recalled to the Orioles where he will start Sunday’s game against the Tamp Bay Rays at Oriole Park. With no more home games for the Tides and only three road games my attention will begin to focus to the Major League pennant races as well as some other ideas that I have percolating for some time. 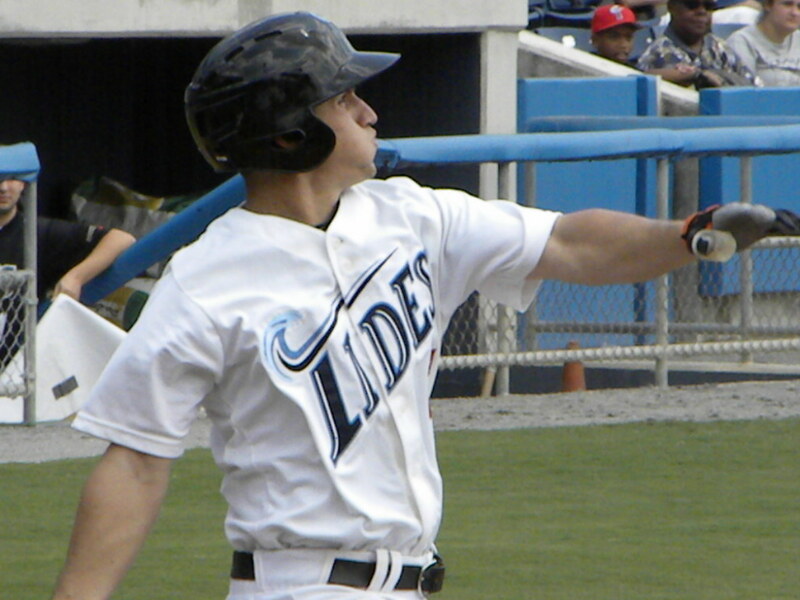 I will write about the three final games in Durham as well as have a number of articles analyzing the Tides season, the roster and what I think the prospects are for each Tides player in 2011. I will as I did last year post a photo essay or two about the season at Harbor Park. The Norfolk Tides continued their home winning streak on Thursday night at the Church of Baseball, Harbor Park Parish with Hurricane Earl lurking over the horizon. The National Weather Service had assured the Tides and Minor League Baseball that the rains and winds from Earl would not arrive until after 11 PM and their forecast was on the money. With just over 6000 fans in attendance and in beautiful weather conditions the Tides settled in to take on their International League Southern Division rivals, the Charlotte Knights in the first of a two game series to wrap up the Tides final home stand of 2010. The Tides started left hander Chris George against Knights right hander Carlos Torres and the two starters both pitched gems. Each would only make one mistake both involving home runs. In the bottom of the 2nd inning Tides home run leader Michael Aubrey led off the inning and crushed Torres’ pitch over the right field wall bouncing it off the roof of the Straub Beer Party deck. This gave the Tides a 1-0 lead that would hold up until 2 outs in the top of the 8th when Knight’s center fielder Buck Coats returned the favor against George sending a solo home run into the Straub party deck to tie the game at one. George finished the 8th inning leaving the game giving up 1 run on 5 hits while striking out 7 and walking none. It was his best performance of the year and showed that if anyone is interested that the 31 year old veteran is still worth looking at if a team needs a left-handed pitcher for spot starts or long relief. His opponent on Thursday Carlos Torres left the game after 7 inning surrendering the just the 1 run on three hits while walking 2 and striking out 2 Tides batters. It then became a battle of relievers and with each passing inning the tension built. Jonathan Adkins shut down the Tides in the 8th inning and in the 9th the Tides sent in Frank Mata who was sharp, pitching the 9th and the 10th allowing no runs hits or walks. 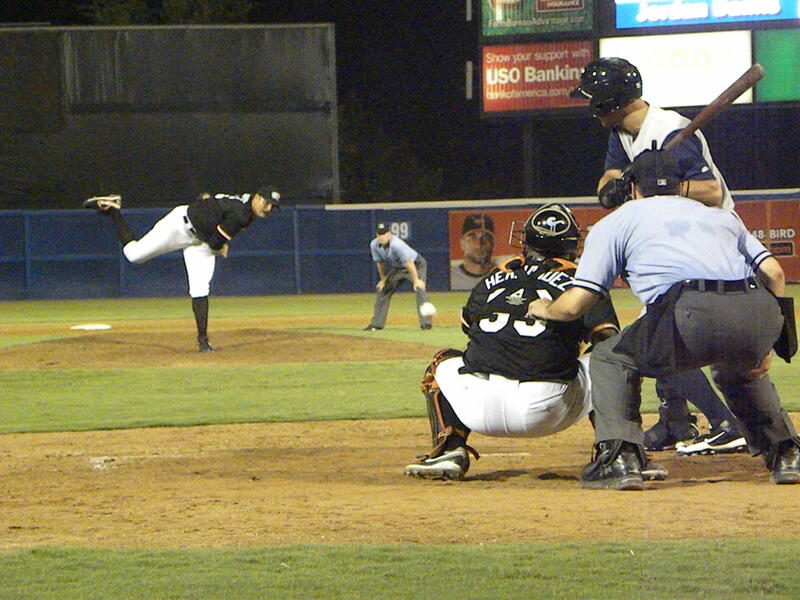 The Knights countered with Randy Williams who pitched the 9th and 10th allowing just a walk. 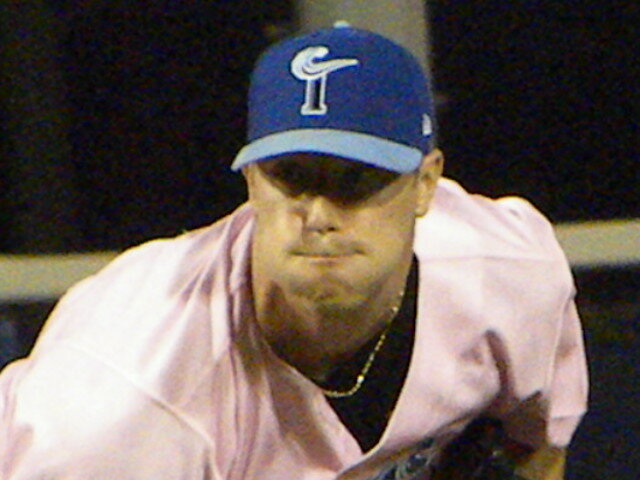 Tides closer Dennis Sarfate entered the game in the 11th and pitched it and the 12th allowing no runs but a hit and a walk and striking out 3 Knights. 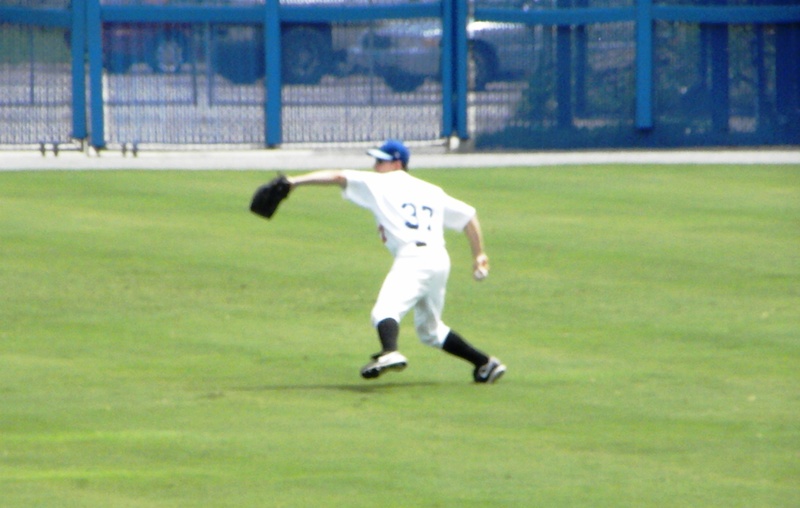 The Knights sent left hander Garrett Johnson into the game in the 11th and Johnson held the Tides in the 11th and 12th innings. In the 13th the Tides sent Jim Hoey into the game and Hoey sent the Knights down in order as a few scatted rain drops started falling and the winds began to pick up as Earl neared Hampton Roads. The Knights sent Johnson back out in the 13th to face Miguel Abreu, Blake Davis and Paco Figueroa. Abreu led off the inning with a base hit and was sacrificed to second on a bunt by Davis. Johnson then intentionally walked right hander batter Paco Figueroa to get to left hand batter Jeff Salazar. Salazar then flied out on a short fly ball to center fielder Buck Coats for the second out. The tension now was high as the remaining fans cheered when Michael Aubrey came to the plate. I was standing next to Elliott the Usher and said to him “Aubrey wins it for us now, three run home run.” As Aubrey settled in the crowd quieted as Johnson pitched to Aubrey. Johnson got the first strike and delivered the second pitch which Aubrey crushed going over the right field wall, over the bullpen and probably into the Elizabeth River. The crowd which had been hushed erupted as Aubrey made contact and as the ball sailed deep into the night went wild as Abreu and Figueroa crossed the plate and the Tides mobbed Aubrey as he jumped onto the plate a celebration that lasted until the Tides walked off the field. The home run was Aubrey’s 21st of the campaign. Jim Hoey (4-0 3.54 ERA) got the win in relief for the Tides and Garrett Johnson (0-1 6.35 ERA) took the loss for the Knights. The Knights had 1 run on 6 hits with 1 error leaving 6 runners on base. The Tides 4 runs, all driven in by Michael Aubrey on 8 hits with 1 error leaving 7 runners stranded. The win tied the Tides with the Knights for 3rd place in the division both well behind the Durham Bulls. While Chris George did not get a decision his performance against the Knights was superior and he and Michael Aubrey were the stars of this game. Tim Bascom has had a rough season since coming up from Double-A Bowie. The young right-hander has battled adversity but Friday Tim showed what kind of pitcher that I believe he really is by pitching 7 strong innings giving up just 1 run on 5 hits and walking only one Charlotte batter. 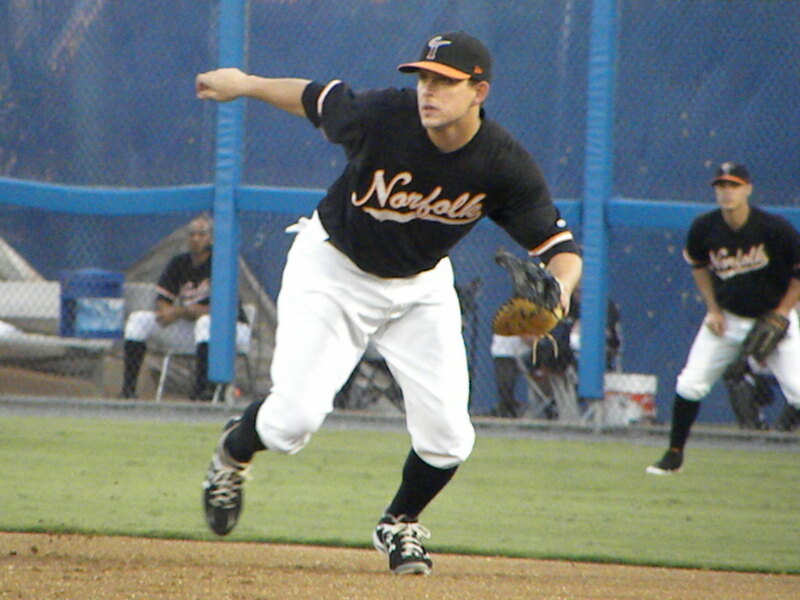 He was supported by a solid performance by the Tides offense that produced 5 runs on 8 hits. 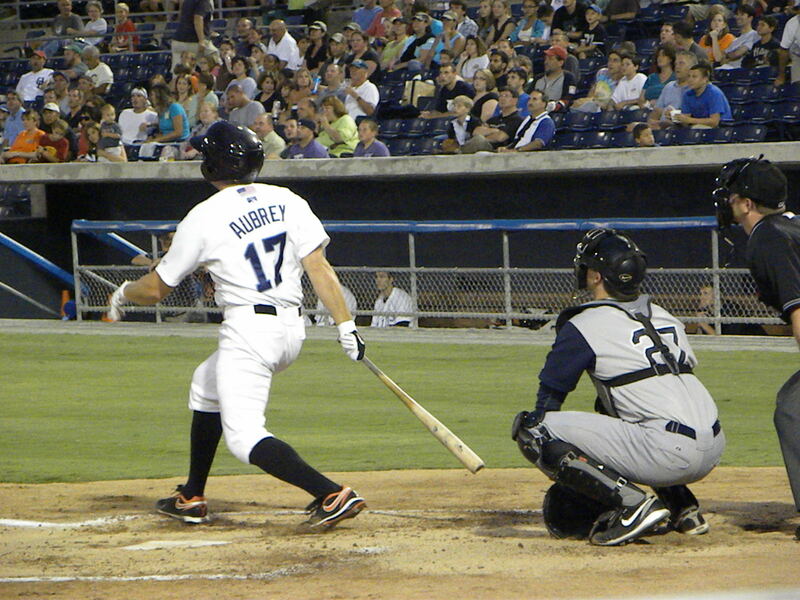 After a scoreless first inning the Tides came to bat and Michael Aubrey drew a leadoff walk. 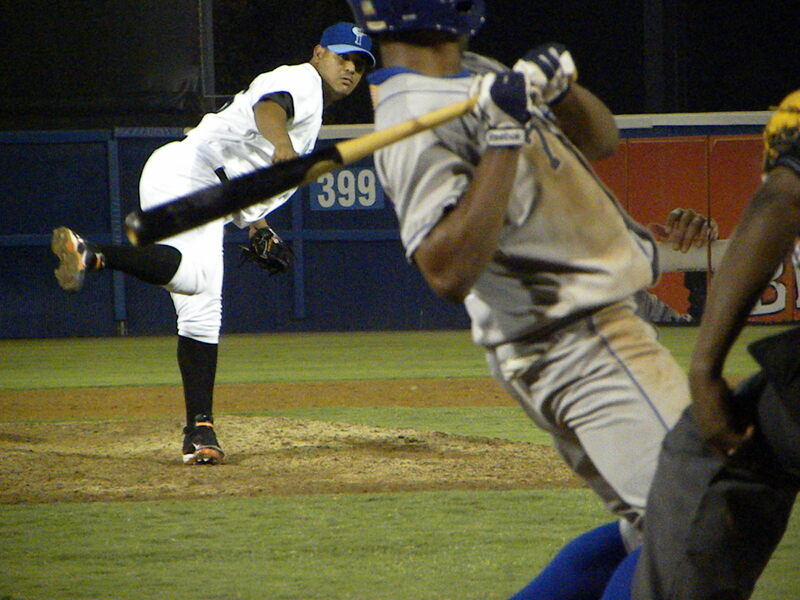 Lou Montanez struck out bringing Rhyne Hughes to the plate. 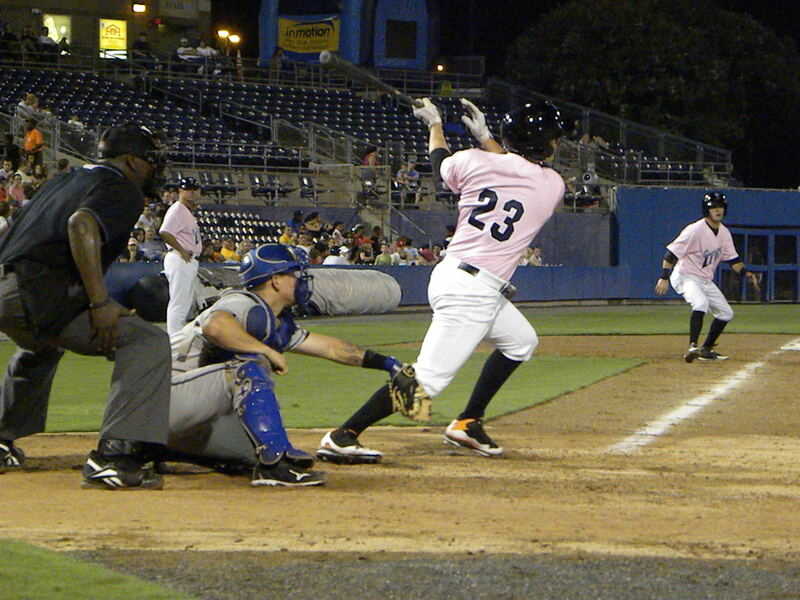 Hughes doubled off of Charlotte starter Jeff Marquez to give the Tides runners on second and third with 1 out. Blake Davis then grounded out to score Aubrey for his 6th RBI in the last 3 games. Catcher Michel Hernandez then singled to score Hughes before Marquez retired Paco Figueroa on a line drive to center field giving the Tides an early 2-0 lead over their Southern division rivals. The Knights took one of those runs back in the bottom frame when Stefan Gartrell homered to left center on a 2-2 count. Tim gave up consecutive singles to Tyler Flowers and Luis Rodriquez but got Dayan Viciedo to ground into a double play and Jeremy Reed to ground out to third. The Tides tied on a pair of runs in the top of the 4th and once again Michael Aubrey figured in the equation. Aubrey singled to lead off the inning to bring Lou Montanez to the plate. Montanez took Marquez yard sending a 1-0 pitch over the center field wall to give the Tides a 4-1 lead. In the 5th the Tides scored again. With one out Robert Andino laid down a bunt that was fielded by catcher Tyler Flowers. Flowers’ throw to first missed heading into right field and Andino went to third. 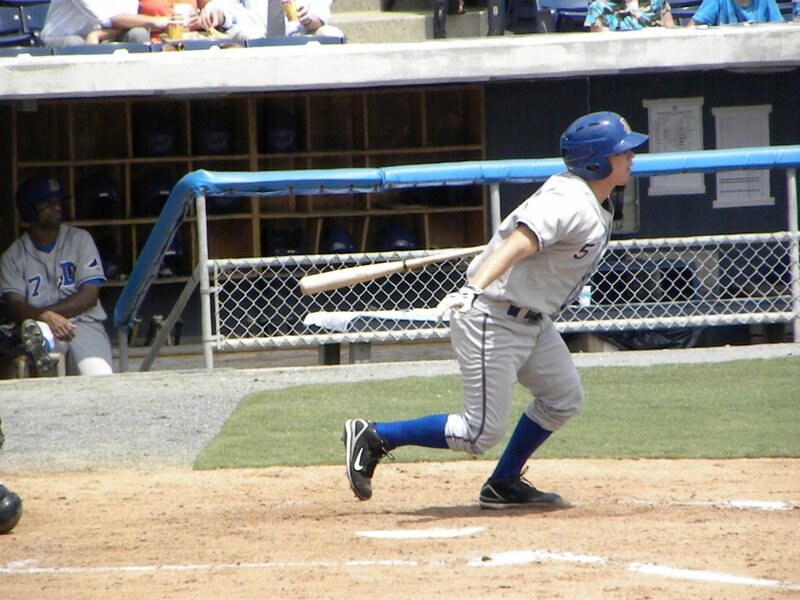 Jeff Salazar singled to drive in Andino for the Tides final run of the game. Tim Bascom allowed only 2 more hits after the second inning walking only one Charlotte batter completing 7 solid innings. He was relieved in the 8th by Alberto Castillo who stuck out Jeremy Reed and Josh Kroeger on 8 pitches before surrendering a walk to Alejandro De Aza. Bobby Dickerson brought in Pat Egan with two outs and Egan got Brent Morel to pop out to Blake Davis to end the inning. Egan sent the Knights down in order in the 9th to secure the win for Bascom and the Tides. The Tides had 5 runs on 8 hits with no errors and had the home run by Montanez and double by Hughes to help power them to the win. The Knights had 1 run on 5 hits committing two errors including the costly throw by Flowers in the 5th inning that allowed Andino to reach and advance to third. 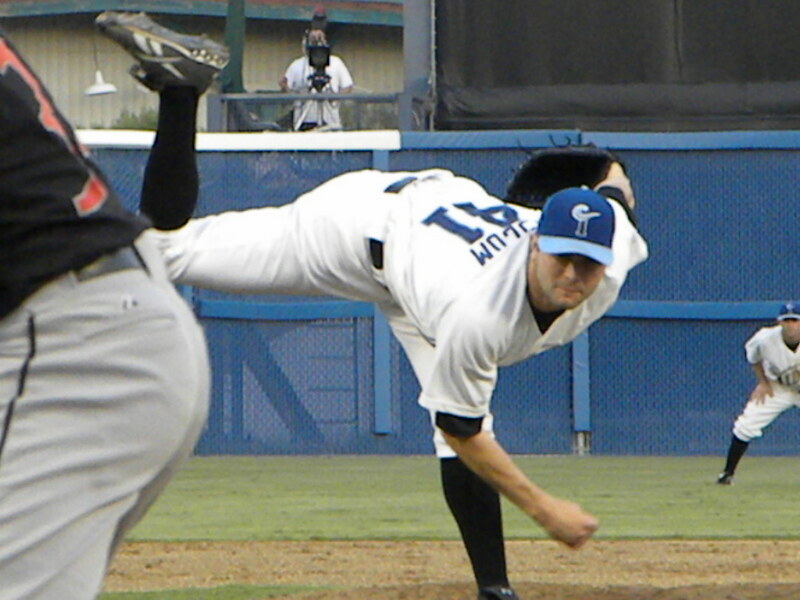 Tim Bascom (3-7 7.31 ERA) got the win for the Tides while Jeff Marquez (8-8 4.58 ERA) took the loss. The Tides go down to Georgia to begin a three game series against the Gwinnett Braves. 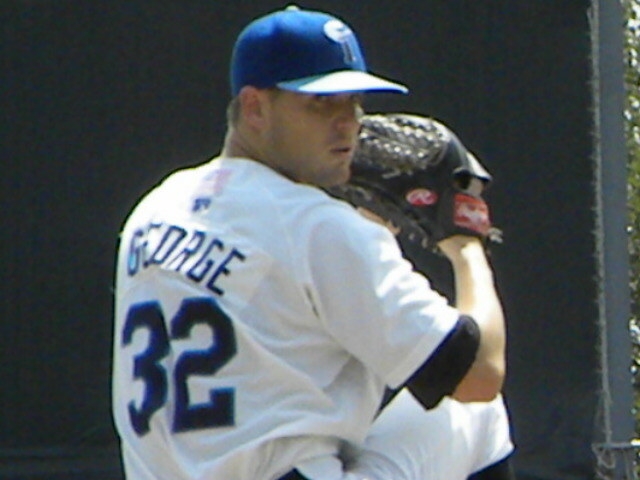 Chris George (4-7 4.45 ERA) will take the hill for the Tides and face Todd Redmond (9-10 4.20 ERA). Last night the Orioles defeated the Angels in Anaheim with Brad Bergeson making another strong start to get his 6th win of the season. The Monday afternoon businessman’s special “getaway” game between the Durham Bulls and the Norfolk Tides was anything but special as the Tides went down to their 5th consecutive loss falling the Durham Bulls by a score of 8-4. In the previous 4 games at Harbor Park the Tides were competitive and though they did not win were in each game until the end. On Monday the wear of the long season, the disappointment in not coming away with wins that very easily could have been theirs and the ambiguity that most of the team faces in regards to their future with the organization showed as the Tides seemed flat and lifeless despite scoring 4 runs on 12 hits. 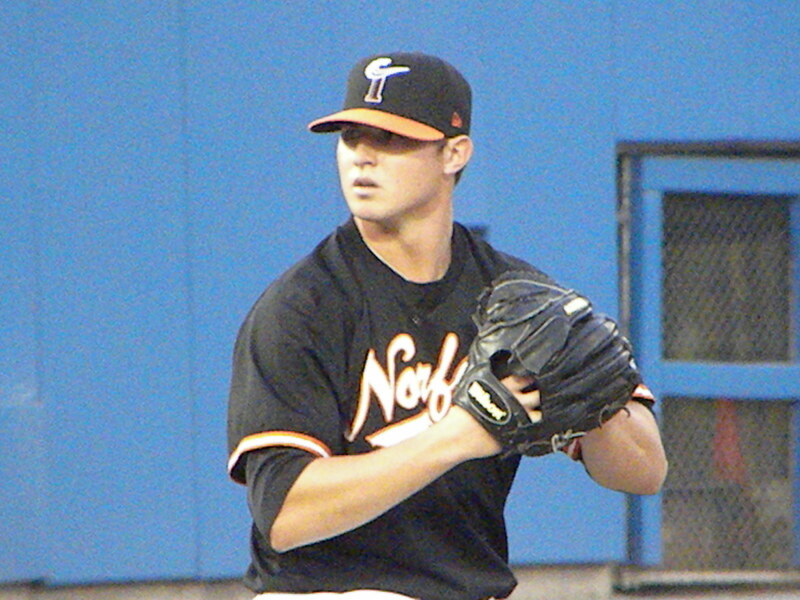 Tides starter Chris George coming back from an elbow injury incurred when a line drive struck him against Indianapolis was not effective throwing 66 pitches in just 2.2 innings giving up 4 runs on 6 hits striking out 4 and walking 2. With the exception of Dennis Sarfate all of the Tides relievers struggled as the Tides gave up 8 runs on 14 hits and walking 4 while the defense committed two errors. The 5 pitchers threw a total of 176 pitches an average of almost 20 pitches an inning. 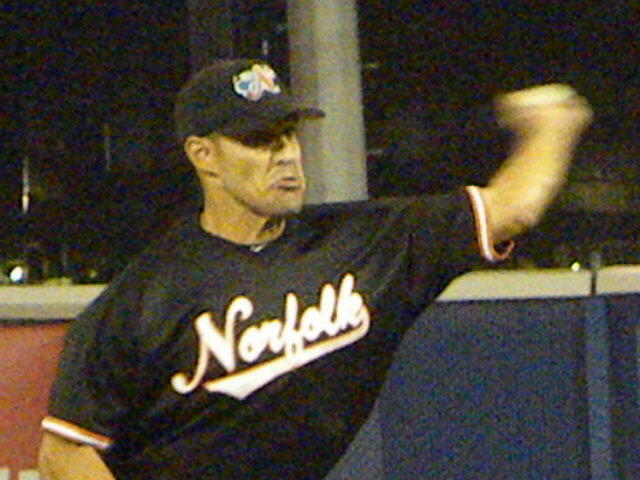 The bullpen will need a strong start by Troy Patton tonight in Durham, or for someone like Andy Mitchell, Mike Hinckley or Jim Miller to provide some effective long relief in order to rest these arms as the rest of the bullpen has thrown a lot of pitches over the past few games. Tides hitters did lay down the hits and Jeff Salazar had a home run and a double, while Robert Andino had a double that drove in his 74th RBI of the year. However the Tides never score more than one run in any given inning as Durham pitching and defense was solid cutting up rallies before they could mature and score more runs. Of note were two plays at first base where Bulls First Baseman Leslie Anderson made spectacular stops of sharply hit balls down the line to prevent Michael Aubrey and Scott more from both having extra base hits that would have drove in runs very possibly altering the tempo, character and outcome of the game. The Bulls were opportunistic as is their nature. This is a much disciplined team the best in Triple-A baseball and their hitters seem always to do an excellent job of hitting the ball where the opposition is not. Their “small ball” feeds their power. They get men aboard with bloop hits, Seeing Eye grounders, well placed bunts and balls hit behind runners. As they chip away at the opposition with this kind of game the Bulls power hitters take advantage of nearly every mistake made by an opposing pitcher and even well pitched balls to drive in runs. They are seldom out of a game. It is no wonder that they lead their nearest division rival the Gwinnett Braves by 19 games with a 82 win and 47 loss record. Anuery Rodriguez (6-5 3.72 ERA) got the win and Chris George (5-7 4.45 ERA) took the loss. I do think that from watching Chris that he was still sore from his injury and not comfortable on the mound. The Bulls had 8 runs on 14 hits with no errors stranding 11 runners and the Tides 4 runs on 12 hits with 2 errors leaving 12 men aboard. Tonight Troy Patton (7-10 4.85 ERA) will take the hill in Durham for the Tides facing Richard De Los Santos (13-5 3.59 ERA) will start for the Bulls. De Los Santos is tied for the league lead in wins. 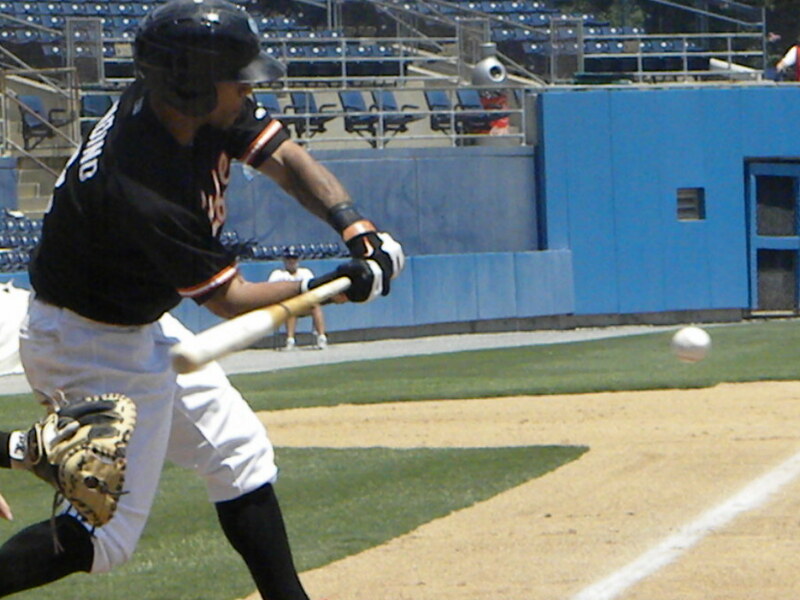 A few Tides notes, Robert Andino leaders the league in hits (137) as well as errors (28) and 4th in RBIs with 74. Michael Aubrey leads the time with 18 home runs in only 91 games and his slugging percentage is now .489 the 11th in the league. Nolan Reimold who after being injured last year in Baltimore, being sent down to the Tides and having fought through the physical aspects of his injury as well and the mental side of the game has come in strong since the All-Star break and now has a .366 on base percentage and in his last 10 games is hitting .344 with a .548 on base percentage and .406 slugging percentage. He has also become an effective base stealer with 9 steals to his credit only being caught twice in 11 attempts, not bad for a big man who has overcome a serious and nagging injury to his Achilles tendon. An interesting note on the team average, in 2009 the Tides were hit .272 as a team, second best in the league with several players above .300 or in the .280 and above bracket. They only hit 78 home runs during 2009 but had 259 doubles and 30 triples with 603 runs scored. In 2010 they are hitting as of today .253 (-.19) but have hit 110 home runs (+32). However they have just 218 doubles (-41) and 23 triples (-7) scoring 566 runs. In 2009 the Tides had 1283 hits as opposed to 1114 (-169) this year and both the slugging and on base percentages are slightly down this year. 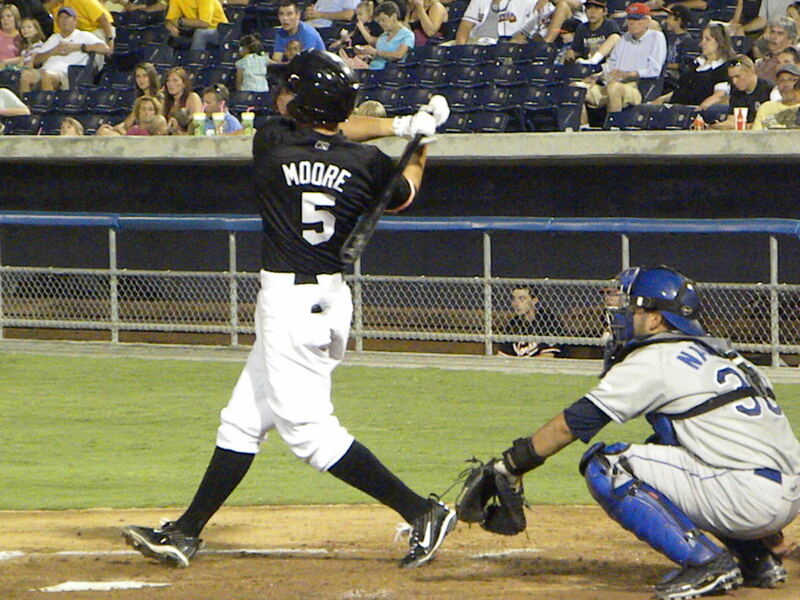 Another key statistic is strike outs, last year the Tides had just 814 in the season and 888 already in 2010. They had 132 stolen bases in 176 attempts as opposed to 115 steals in 160 attempts this year. Now this seasons statistics are not final, there is a chance that the Tides will surpass the number of runs scored in 2009 but will fall short in other areas. I will be talking more about trends in statistics and players comparing this year with 2009 and making my “if I were Andy McPhail” recommendations for the September call up and Tides to hold onto for 2011 over the next couple of weeks. I will also provide my analysis of how the team did include reason that I think the team did not do as well as I thought that they would this year. I do think that the Tides are better than their record indicates and that many of the Tides have legitimate shots at being regulars in the Major Leagues, be it with the Orioles or other organizations and I will talk about that subject as well in the coming weeks. These will be part of the regular posts and show up on the Norfolk Tides Scouting Report as well.